Combo package deal! 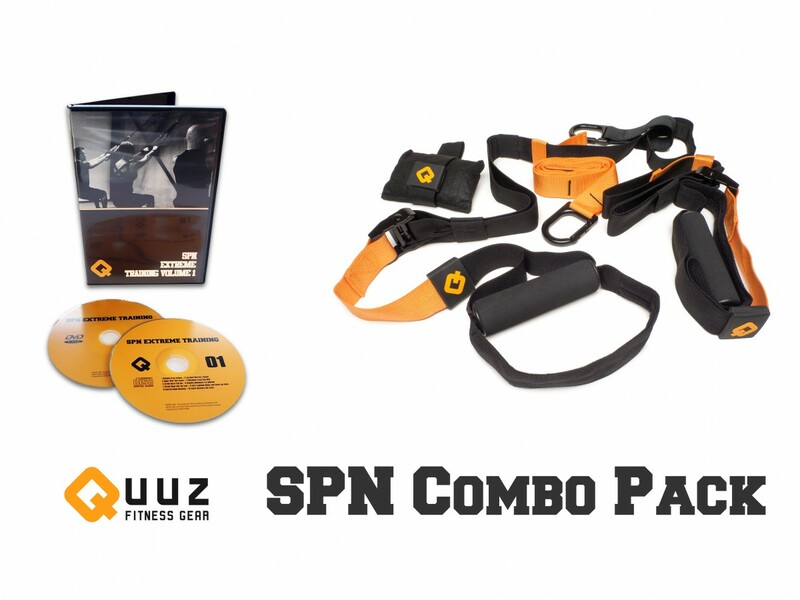 Buy the Quuz SPN Trainer with the Extreme Training CD/DVD package and save. Continue your suspension training sessions with the CD/DVD as a training guide. The pre-choreography DVD content is hosted by International Presenter Greg Sellar, who will instruct you step by step the endless possibilities with the SPN Trainer whilst the CD delivers the 10 powersongs from the DVD. Start your training! The Quuz SPN Trainer is a portable performance training tool for resistance training that includes exercises in which a variety of multi-planar, compound exercise movements can be performed by using your own bodyweight. These are done with the aim of developing strength, balance, flexibility, and joint stability simultaneously. 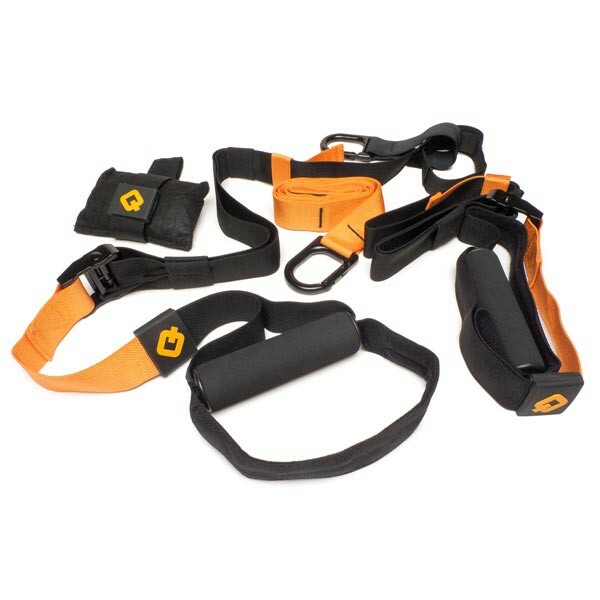 The straps can easily be adjusted to add or decrease resistance. 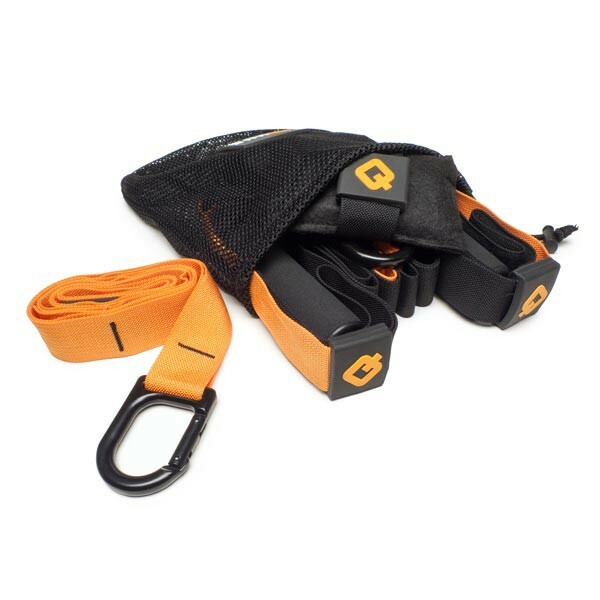 Each package contains a door anchor and a strap extension which makes it easy to use at home or outdoors. Introducing the Quuz Suspension Trainer pre-choreographed workout spread over 10 vibrating songs. 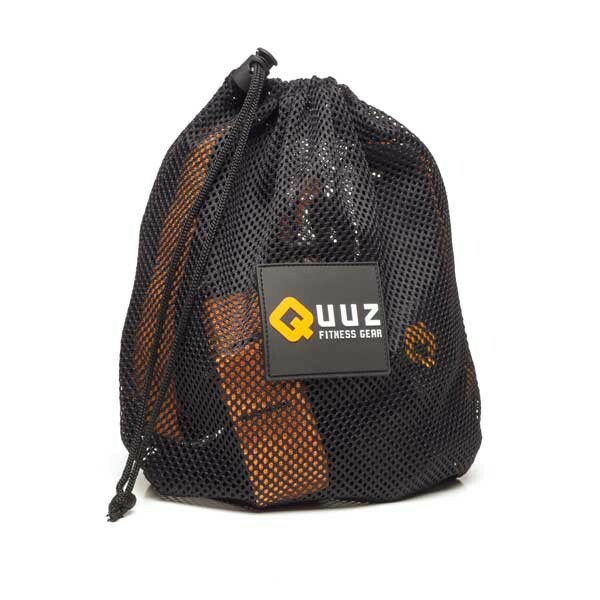 We’re bringing the Quuz Suspension Trainer to the group exercise courses, instruct to multiple customers at once. No need to spend endless hours creating new routines. Simply watch, learn and teach. Hosted by Greg Sellar. Original artists on CD, pre-choreographed DVD.